RYA Essential Navigation online theory course. Free trial. 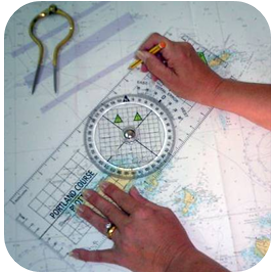 The Essential Navigation and Seamanship Course is a classroom and online course aimed at water sport users, jets skiers, sea angling or diving etc. The course will give you the essential knowledge needed when you’re afloat, from navigation to safety and seamanship to passage planning. If you are sailing yachts or motor cruisers, we recommend the Day Skipper theory as your starting point. There is no need to do Essential Navigation first. You can book your Essential Navigation course directly with us or on the RYA site by registering yourself as a user, selecting Navathome as your training centre. Top 10 reasons to take the online course. Flexibility - work anytime, anywhere, at your own speed. Suitable for all - new crews through to budding skippers. Safety Essentials - all the essential knowledge for going afloat. Simplicity - easy to use, interactive and full of great graphics. Supporting your knowledge - an ideal accompaniment to your practical course. Complements other courses - a great starting point before more advanced courses. Real skills - use real skills alongside online technology. Best advice - written by top RYA instructors, created by award winning designers. Learn it, try it, test it - practice what you’ve learnt before taking the test. At Navathome you will be encouraged every step of the way to complete your course and pass your online exam well. This is an RYA interactive course provided by the RYA.